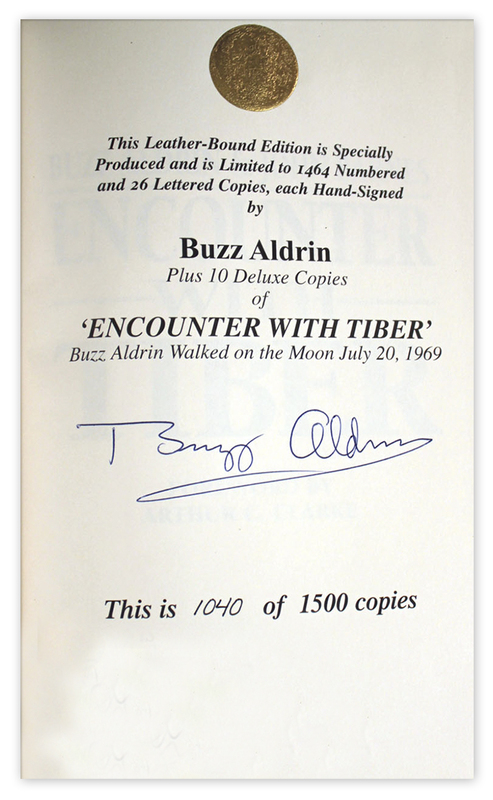 Limited edition of ''Encounter with Tiber'' by Buzz Aldrin and John Barnes. 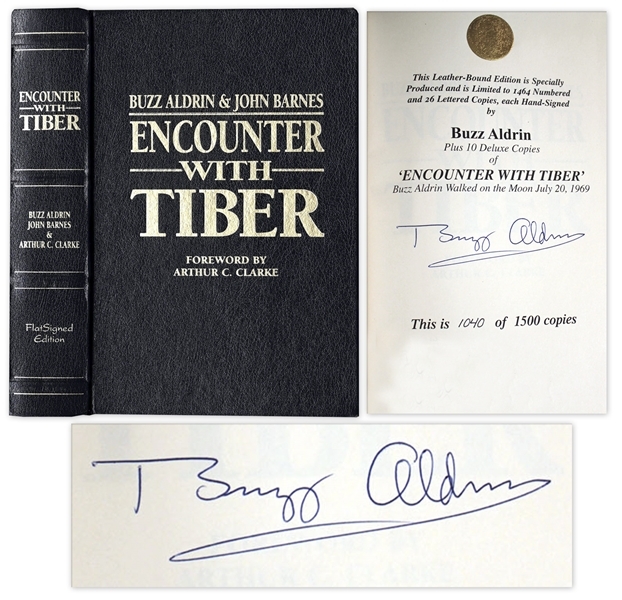 The FlatSigned Press: Nashville: 2005. 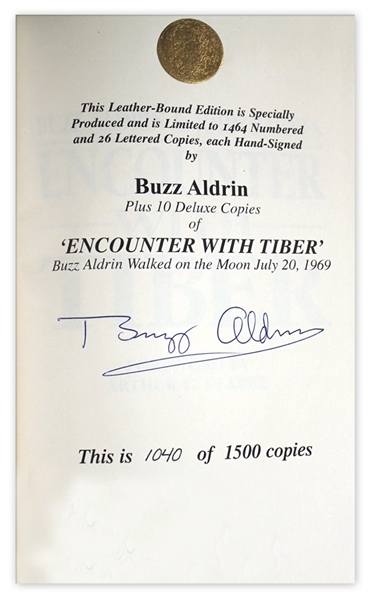 Aldrin signs his science fiction novel upon the limitation page: ''Buzz Aldrin''. 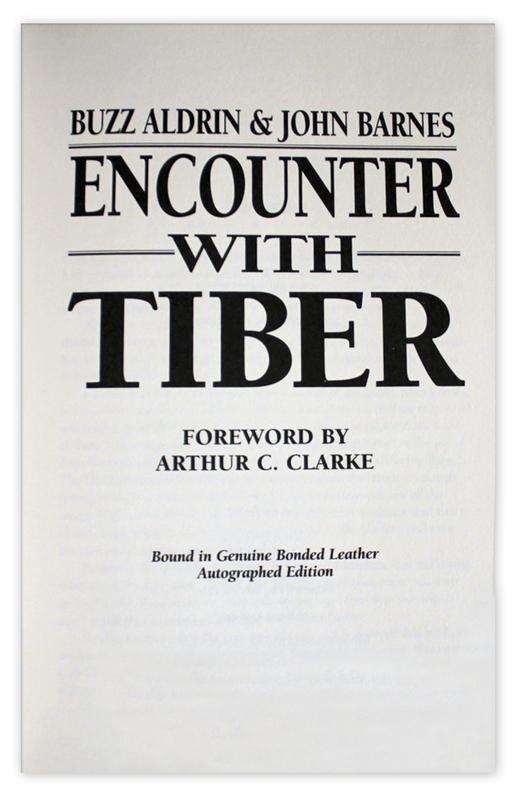 The leatherbound book with silk moire pastedowns and endpapers is numbered 1040 of 1500 copies. The 6'' x 9.25'' volume is in fine condition.